In a previous post, I demonstrated the problem of wind drift when shooting at targets farther than 200 yards in the wind. If you are shooting at paper targets, there is not much at risk if you make a mistake, but when hunting, there is a lot at stake and I believe many misses and wounded animals are due to our failure to properly measure and adjust for the wind. So, how can we improve our chances when shooting in the wind? The most accurate method to measure the wind at the shooter’s location is with an anemometer. I’ve used hand held anemometers and am usually surprised by how hard the wind is blowing based upon my estimate. Like a rangefinder, an anemometer is a valuable piece of equipment, but it is another piece of gear to carry. It also has to be carried in a way so you can find it and use it quickly, but you also have to keep it from banging against other gear while you are moving. An anemometer also requires hand movements to measure the wind speed, which may be a problem if you are not in a concealed position. If you are in a concealed position, you may not be able to accurately measure the wind speed anyway. If you have a trusted spotter, they can be responsible for reading the anemometer and range finder for you, while you get ready to take the shot. Otherwise I suggest using a rangefinder to get an accurate distance, but learn to estimate wind speed using the wind conditions described in the old Beaufort Scale. We don’t care what the Beaufort Scale number is, we just want an accurate estimate of wind speed based upon the clues. Most ballistics calculators assume a constant wind speed at 90°, but in mountainous terrain and in areas of mixed forests and open areas, it is rare to have both a constant wind and a perfect cross wind. Wind has a tendency to blow parallel to the ground and is effected by hills, rock outcrops and trees. Next time you have a chance to look at a creek or river, notice all the little eddies, swirls, upwellings and backwashes you see in the current and look to see if you can find what causes them. Wind does the same thing as it moves across the land. Wind blowing across flat lands may be very smooth, like a slow moving flat bottomed section of stream, but winds blowing in the mountains are more likely to have swirls, upwellings, plunges and backwashes. If you are shooting across a canyon, the wind is probably blowing up on the up-slope and down on the down-slope. Also, you may be in an area protected from the wind, but the target is in an area with more wind or vice versa. To further complicate matters, both you and the game can be in protected areas with slower wind, but the wind is probably blowing much harder across the canyon between you and the target. A single gust of wind that hits the bullet as it comes out of the barrel changes the angle of the bullet and it will continue traveling at that angle until it is acted upon by another gust of wind. Figure 1. Bullet Wind Drift Compared for 90° (left) and 45° (right) Angles. Most wind drift calculations are based on full cross winds (90°). These are referred to as a full wind drift values. So how much value do we give to a wind that is not blowing straight across our target? At first glance, a 45° wind angle would seem to exert half the sideways force on the bullet and half the force pushing with or against the bullet, so the bullet would be pushed half the distance in a 45° wind is it is in a 90° wind, but that is not correct. The wind value should be almost 71% instead of 50%. A 45° wind actually has a value of 70.7% of a full wind value, which is often rounded to 75% or referred to as ¾ wind value (see Table 1). A 30° wind actually has a value of 50.0% of a full wind value. In the field, it will be difficult to calculate the exact wind angle and therefore the exact proportional sideways effect on the bullet, but if we have a reference point, we can make a better estimate. Table 1 shows the wind direction based upon the clock positions and their relative values compared to a full cross wind. Wind blowing straight towards you from the target is at the 12 o’clock position and wind blowing straight into your back towards the target is at six o’clock. Three and nine o’clock are cross winds blowing straight into the side of your face. Table 1 shows both the corresponding angle for each number on the clock face and the relative sideways angle that effects the bullet. You can see from the table that at exactly 12 and six o’clock, the relative angle is 0°, so there is no wind drift value (Wind Value = 0). To keep the table from getting too long, I included 15° increments only in the top part of the table. You can also see from the table the four directions that push the bullet at 45° (1:30, 4:30, 7:30 & 10:30) have wind values of 70.7% (often rounded to ¾ value (75%) of cross wind) as demonstrated in Figure 1. It is not easy to remember all the data in Table 1, especially since the wind values have to be multiplied by the wind drift values provided by your ballistics calculator, but the exact percentages come from the Sine Function. In Table 1, The Sine of 15° is 0.259, which is 25.9% of full wind value (often rounded to 25%). The Sine of 30° is 0.50, which is 50% of full wind value. 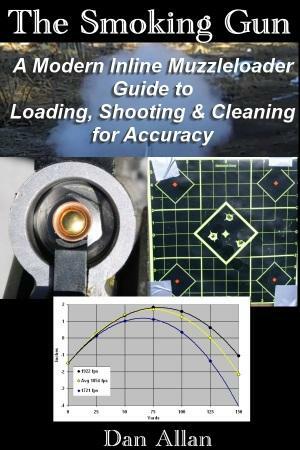 If you would like more information about shooting in wind, this Book is highly recommended. To help remember all these numbers, I make and carry a cheat sheet or range card while I am at the shooting range and when hunting. The card shows bullet drop on one side and wind drift on the other side (obviously calculated based upon the elevation and temperature you expect while hunting). I look at it constantly until the inches for drop and wind drift are burned in my brain, but I still carry it just in case. So I know my 160 grain 7 mm Rem. Magnum bullet is predicted to drift 9.1 inches in a 20 mph cross wind at 300 yards (Data from Table 1 in previous post). In a 45° wind, the drift distance is reduced to 75% so wind drift is 6.8 inches. In a 30° wind, the drift distance is only half (50%) so wind drift is just over 4½ inches. I have seen several different drawings that help to illustrate how to quickly estimate the wind direction and the wind drift value. Some drawing break the wind vectors into three wind drift values; No drift, half drift and full drift, but it is more accurate to assume ¾ (75%) instead of half drift value. Wind blowing into your face from the 11:30 – 12: 30 position, or on you back from the 5:30 – 6:30 position will have little or no wind drift value. Wind blowing from the side from 8:30 -9:30 or from 2:30 – 3:30 will push your bullet the full wind drift value. Shooting in wind from all other directions should calculate drift on ¾ (75%) the drift value. Figure 2. Estimate wind drift values. I prefer to use the example in Figure 2, when estimating wind drift. This diagram is not perfect, but it helps to simplify the process. If you want to “round off the edges”, feel free to use ¼ drift of half drift if you are confident of your ability to measure very shallow wind angles like 11:30 or 12:30 on the clock face. Since a shallow wind angle has a big effect on bullet wind drift (30° angle = 50% of full wind value), it is probably easier to underestimate the wind value than to overestimate. There are only three values to remember. Wind in your face and at your back will not drift your bullet. So back to my 160 grain 7 mm Rem. Magnum bullet. At 300 yards, the bullet is predicted to drift 9.1 inches in a 20 mph cross wind and using the diagram (Figure 2), the estimation for bullet drift is shown in Table 2 for other wind angles. No adjustment for wind is needed if the wind is blowing into your face or into your back. If the wind is blowing between 2:30 – 3:30, or between 8:30 – 9:30, use the full wind value and the bullet is estimated to drift the full 9.1 inches. Winds near the 45’s (1:30 -2:30, 9:30 – 10:30, 3:30 – 4:30 & 7:30 – 8:30) have ¾ wind values, so plan on a bullet drift of just under 7 inches. Winds between the 45’s and no drift (12:30 -1:30, 10:30 – 11:30, 4:30 – 5:30 & 6:30 – 7:30) have half value, so the bullet should drift 4.3 inches. Shooting at live animals in the field will always be more challenging than shooting at paper targets from a comfortable bench rest. Closing the distance helps to keep all the combined errors from adding up so much to make a clean kill, so try to get as close as possible. If you have to take the shot, don’t take the wind for granted especially for shots over 200 yards. Practice often for shots you are likely to take while hunting (read post on realistic practice) and keep those shots in the kill zone.